cTv heads up the Palm Springs aerial tram to play in the snow, with lots of interesting stories along the way – enjoying the RV good life! Rising 8500 feet above the desert floor, the Palm Springs Tramway offers access to hiking, skiing and camping trips in this famous San Jacinto state park wilderness. Nearing the Quartzsite 2017 RV Rally, we stopped on the Colorado River at Buckskin Mountain State Park with awesome views and a very convenient stop to fill-up with water and dump your tanks before descending into nearby Quartzsite. Heading North to the Redding area, we dropped by Shasta Dam – one of California’s two gargantuan reservoirs that provide precious water to the State and produces 350+ Megawatts of electrical power. Visitors are treated to glorious views, yet be aware the guided dam tour has considerable security restrictions that limit items you are allowed to carry. Oops, hit snow at Manzanita Lake (5890 feet) in Mt Lassen National Park. So while we couldn’t stay overnight (closed) our Siberian Husky Kaliki had a blast doing what Arctic Dogs are born to do. So after playtime we headed down to Redding on shore of the Sacramento River and did our RV Life overnighter… actually two nights so we could see Shasta Dam and the Sundial Bridge. At last, cTv (California Travel Videos) hops aboard the steam train at Roaring Camp in the Henry Cowell State Park (between Santa Cruz and Felton, California). While the redwood grove was revered by lumberjacks to provide the best possible wood to build homes, fortunately the Cowell family bought a large tract of land as a preserve. We dedicate this video to Frank B Lamoly, town Marshall at Roaring Camp for 50 years. ( #CATravelvideos ) before departing as the majestic sun made its entrance… right into our camera lens! 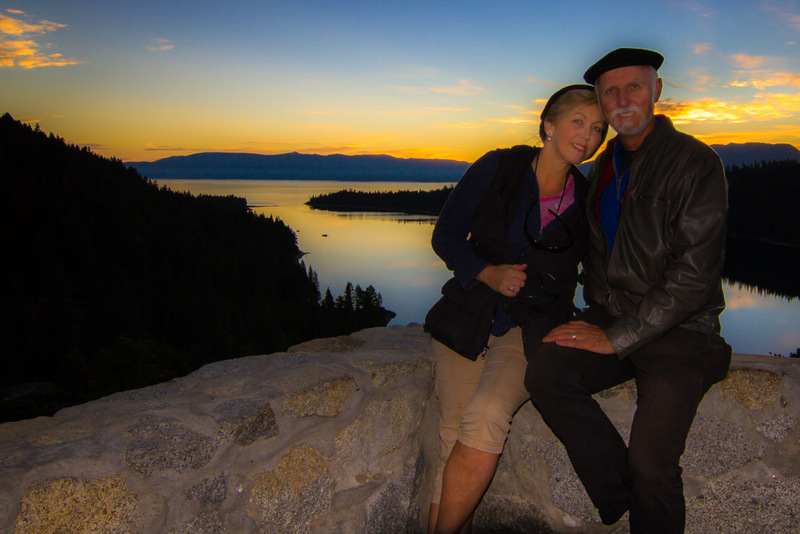 Up before dawn to get to Emerald Bay and watch the sunrise.